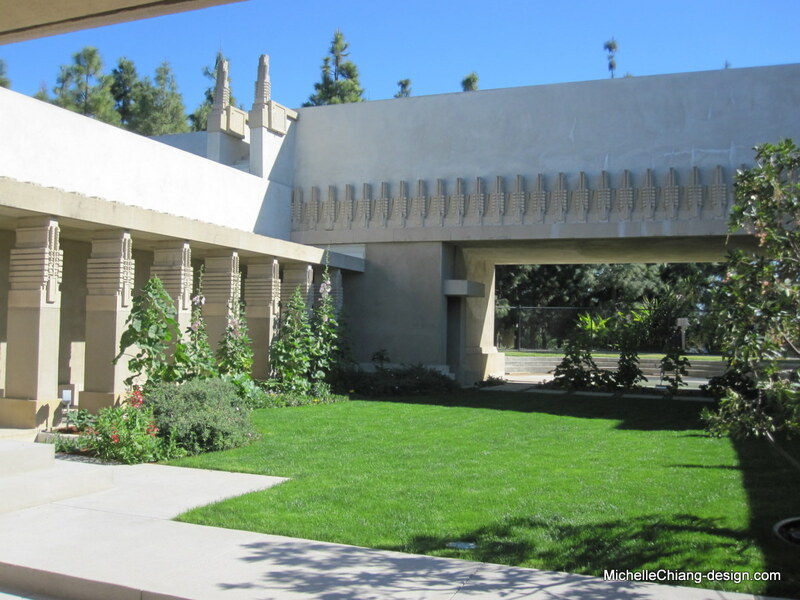 On February 14, 2015, I visited Hollyhock House by Frank Lloyd Wright at Barnsdall Art Park as part of its celebration of reopening after years of restoration work. For one night only, the admission was waived and photographs were allowed. It was 9 a.m. when I got there. It was a beautiful clear day! After waiting for a little over an hour, I made it to the entry. 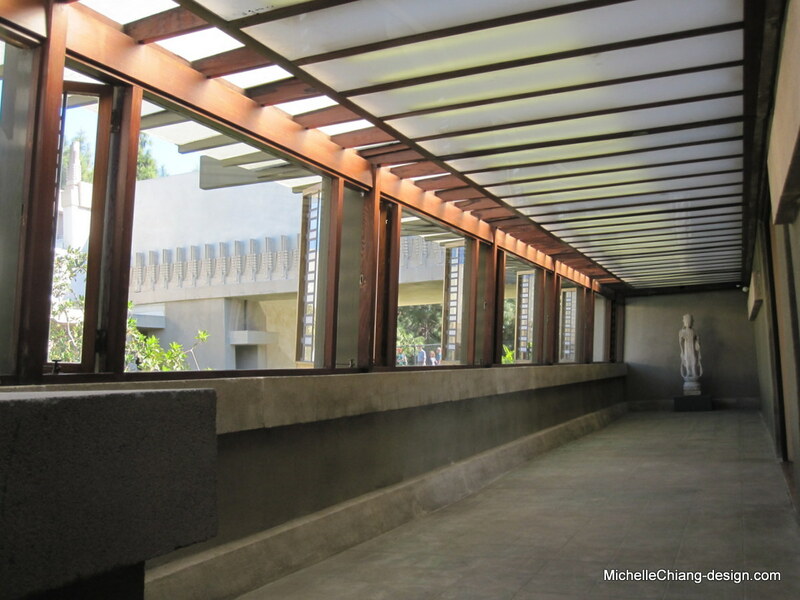 Built between 1919 and 1921, Hollyhock House was Frank Lloyd Wright’s first project in Los Angeles commissioned by Aline Barnsdall. The Dining Room was on the left immediately after the Entry. And the Kitchen is beyond the Dining Room. On the other side of the Entry is the Music Room. 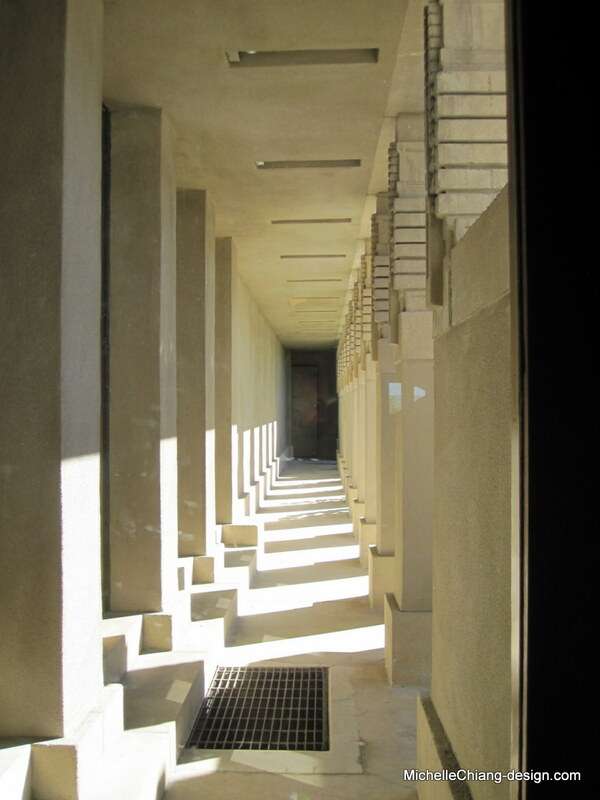 The hallway has low ceiling and opens to the Courtyard. The focal point of the Living Room is of course the fireplace. 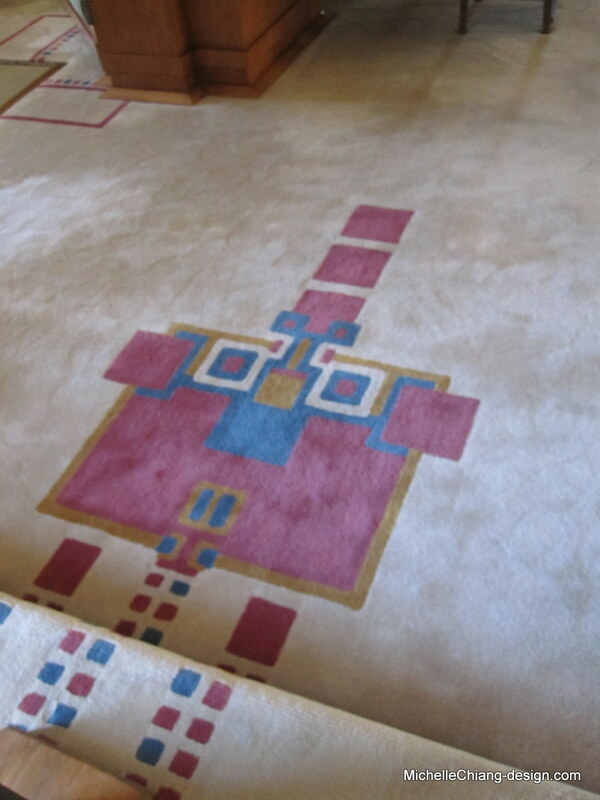 The custom carpet was interesting. 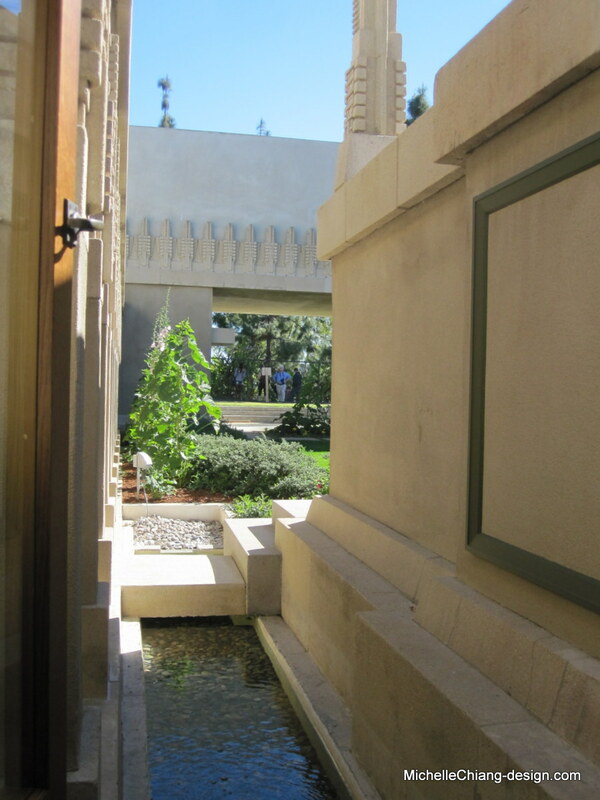 The Courtyard and the areas adjacent to it are my personal favorite. A few photos from the outside of the house. Visitors were only allowed in the common areas of the first floor. That was a little disappointing. The parts we were allowed to be in all have low ceilings. Not so comfortable. Maybe that’s the way to keep the line moving. I am not crazy about the house. It is not my style, and I can feel it tries to control me. 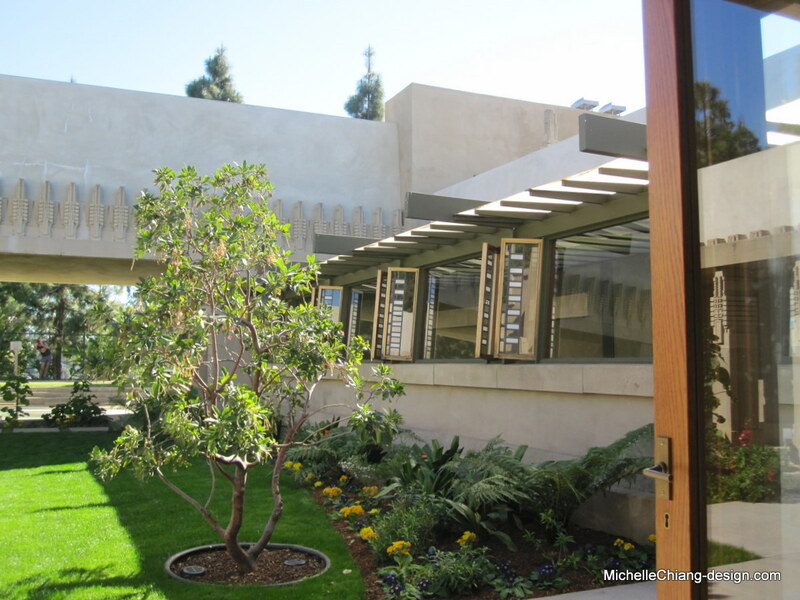 (No doubt Frank Lloyd Wright was a control freak.) I do appreciate the attention to details, and brilliant design ideas. It was still very inspiring to see how everything was well thought out. 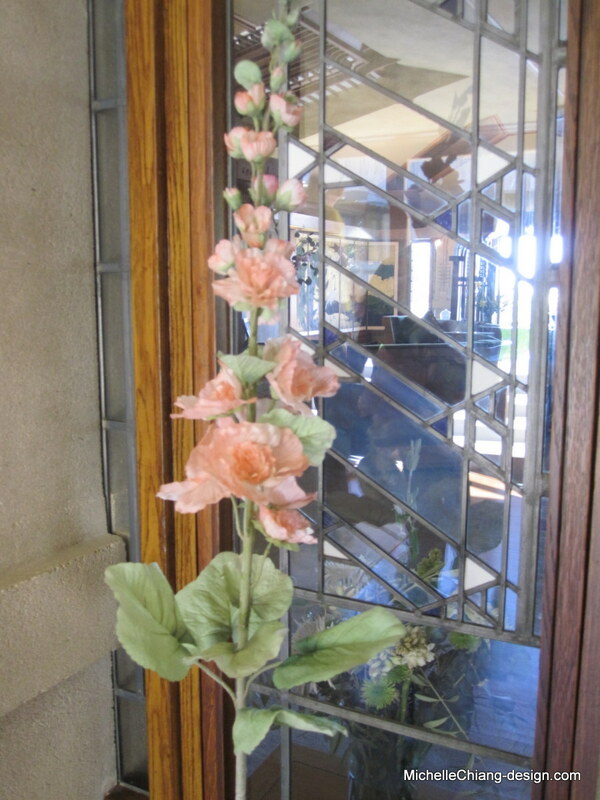 If you are interested in visiting Hollyhock House yourself, please click HERE. 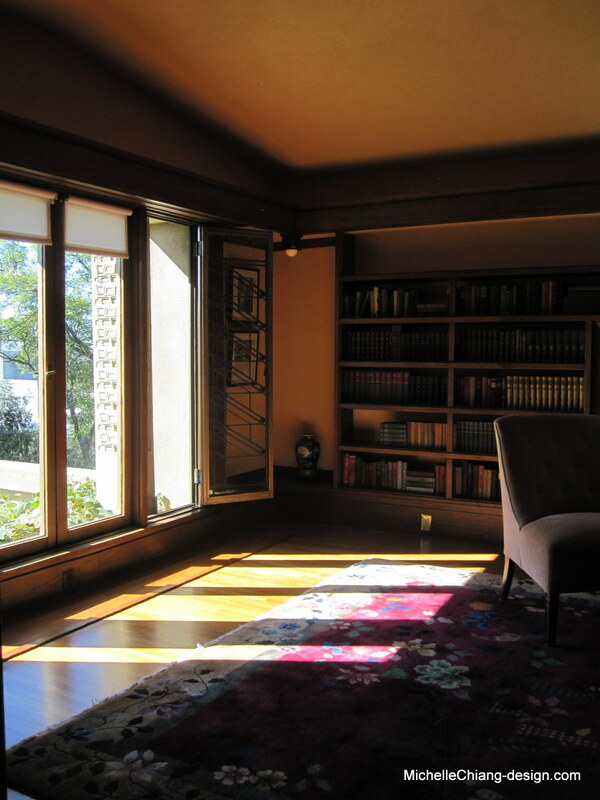 Click HERE for a photo tour of the entire house. 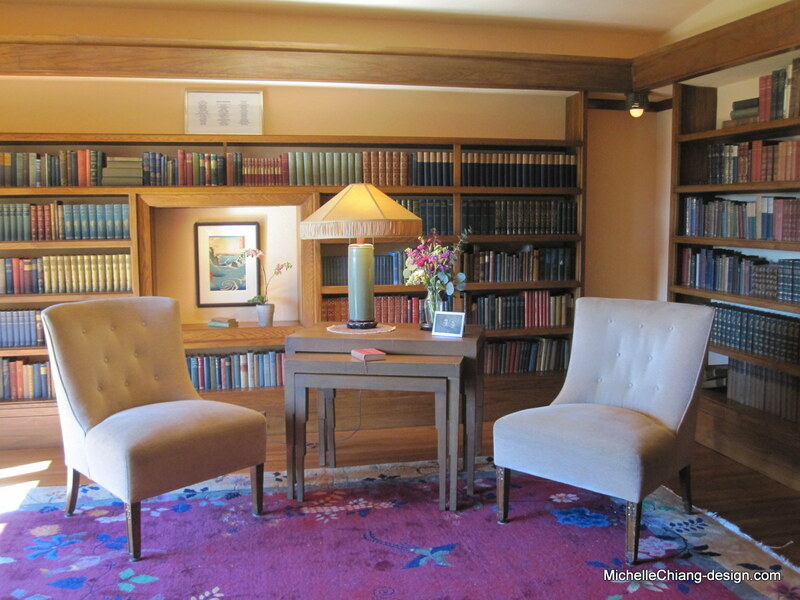 In late July, I joined other members from Conejo Association of Professional Interior Designers and visited Ganna Walska Lotusland in Santa Barbara. Madame Ganna Walska purchased the property in 1941 and spent the next 43 years creating Lotusland. She had her own ideas on each part of the gardens should be and was not afraid to go “outside the box”. There are surprises at every turn. We had only caught the end of the lotus blooming season. I think end of June would be the best time to see the lotus flowers. My favorite part was the Reflection Pool. It was a shallow kidney-shaped pool with beautiful abalone shells as the border. Reservations are required for touring the gardens. Please visit the website for details. Please visit my Facebook album for photos from the tour. 水芳園(Garden of Water and Fragrance) is in Van Nuys, California. I feel very fortunate to have such a beautiful place nearby.